Ishq Positive (عشق پازیٹیو) is an Urdu film releasing on 22 July 2016. The music of this film is its strong aspect feature while it is also shot on historical places like Rohtas Fort in Jhelum, Noor Mehal in Bahawalpur and scenic locations of Mansehra and Azad Jammu & Kashmir. This is the title song of the film in the voices of Wali Hamid Ali Khan and Damia Farooq. The song is shot on Wali Hamid Ali Khan and Noor Bukhari. This song is in the voice of classical singer Ustad Hamid Ali Khan. Perhaps the most popular song of the film in the voices of Rahat Fateh Ali Khan and Indian singer Akriti Kakar. It is shot on Noor Bukhari and Wali Hamid Ali Khan. This song is in the voice of Raga Boyz a band comprising of Wali Hamid Ali Khan, Nayab Hamid Ali Khan and Inam Hamid Ali Khan. A dance number in the voices of Wali Hamid Ali Khan and Hina Zulfiqar. It is shot on Wali Hamid Ali Khan, Noor Bukhari, Natasha Ali. A light track in the voices of Wali Hamid Ali Khan and Indian singer Akriti Kakar. 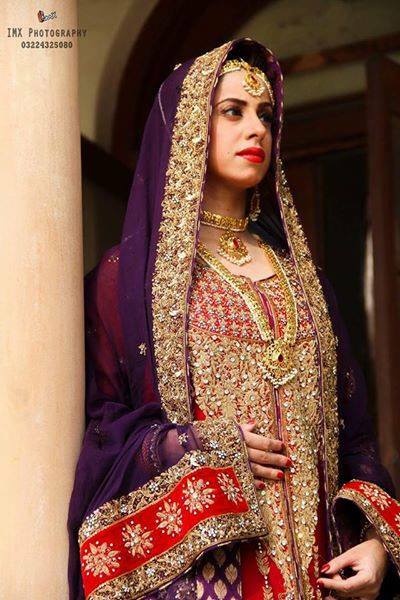 It is shot on Wali Hamid Ali Khan and Faria Bukhari the second heroine of the film. Vitamin is the item song of the film in the voice of Farah Anwar shot on Sana Nawaz. Normally Item songs are used in the promotion of film in the teasers and trailers, however here this song is not shown in any trailer or during the promotion activity of the film. 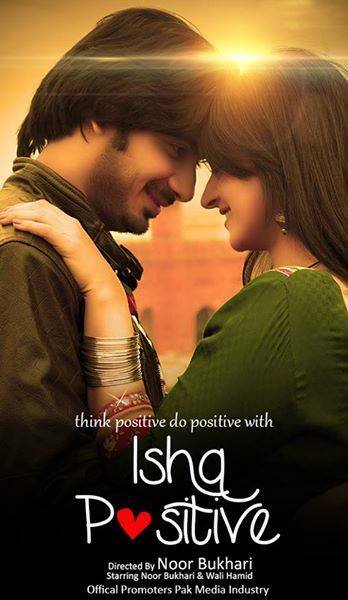 Ishq Positive (عشق پازیٹیو) is an Urdu film produced in Lahore. It was under production for past two years.Wali Hamid Ali Khan and Noor Bukhari are playing the lead roles. Its trailer is released today while the film will be released on the 22nd July 2016. The film was delayed due to multiple factors most important of which was the change of director. The film was started by Adeel PK (Pavez Kaleem) as the director who left it mid way over differences with Noor Bukhari the lead female artist of the film. Sangeeta took over as director afterwards but she too left after few months. Finally Noor Bukhari herself completed the rest of the film. 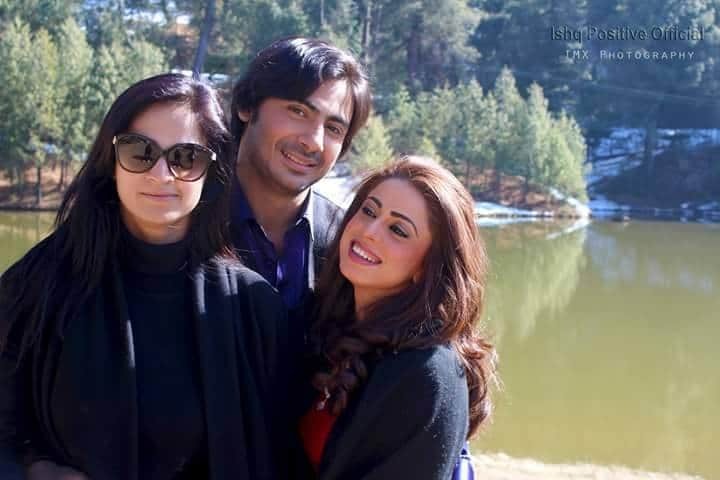 During the shooting of the film, the rumors of marriage of the lead pair Noor Bukhari and Wali Hamid Ali Khan also made headlines and are still in circulation neither admitted nor denied by the lead pair. The hero, Wali Hamid Ali Khan is the son of the renown classical singer Hamid Ali Khan. Wali Hamid Ali Khan is also part of famous band Raga Boys, which he formed with his two brothers. Wali Hamid Ali Khan is also the first cousin of another leading singer Shafqat Amanat Ali Khan. 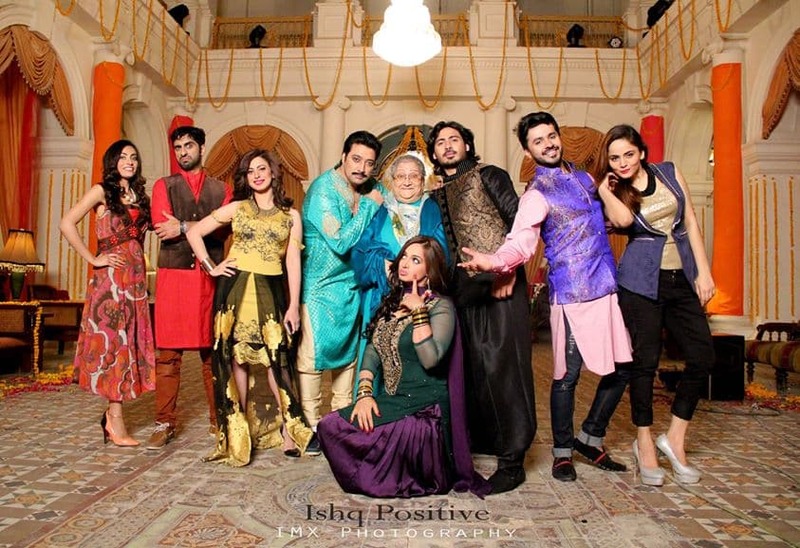 Ishq Positive is the debut film of the Wali Hamid Ali Khan. Noor Bukhari is making a come back to commercial cinema from this film. 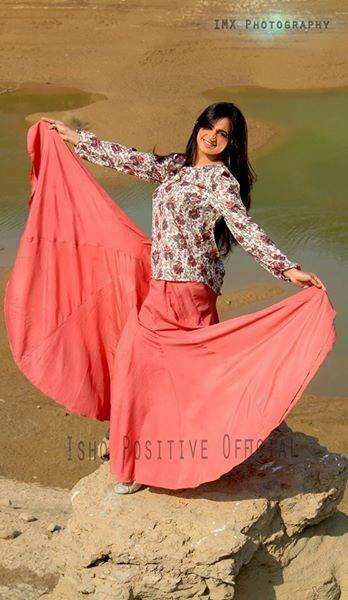 Ishq Positive will also feature Faria Bukhari in an important role of second heroine. Faria is the younger sister and the only sibling of Noor Bukhari. Faria has started her career as a child star in 1990s, with the most notable appearance in film Jo Darr Gaya Woh Marr Gaya in 1995 as the daughter of Nadeem and Atiqa Odho. As evident from the trailer Noor Bukhari is playing the role of Rajjo (Razia) in some big influential landlord family of Punjab who runs away from her home (haveli) at the night of her wedding which results in the dialog Rajjo Bhaag Gayee. Coincidentally she meets the hero Wali Hamid Ali Khan and thus it starts their journey. How will it end, for that lets wait till 22nd July 2016.